Special Containment Procedures: SCP-3233 is to be contained in a modified humanoid containment cell in Site-104. The ventilation of SCP-3233's cell is to be entirely self-contained and separate from that of the rest of Site-104's, and equipped with filters lined with activated charcoal to prevent escape of SCP-3233-1. 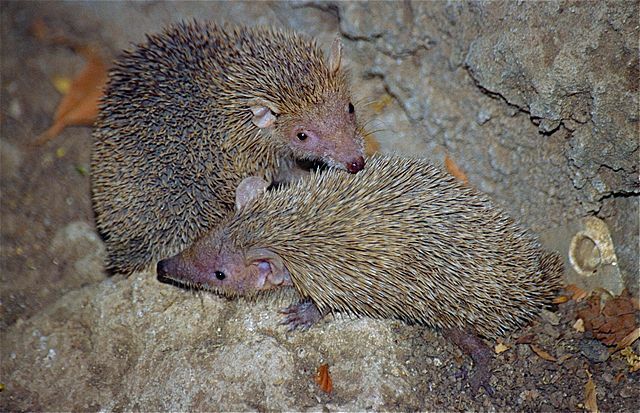 SCP-3233 is to absorb a tenrec pup every 96 hours. A small population of Echinops telfairi1 is to be maintained on-site in Site-104's Animal Wing for feeding purposes. Any research submitted for peer review regarding animals of the family Tenrecidae is to be summarily rejected, and confiscated through standard channels. Description: SCP-3233 is an adult human female of Hispanic and Southwest Asian descent, formerly known as Cierra Jimenez. SCP-3233 possesses a number of sharp spines on its hands, arms, joints, face, and neck, resembling those covering the lesser hedgehog tenrec. These spines are exceptionally durable and sharp, although chemical analysis has shown them to be composed of ordinary keratin. SCP-3233 no longer needs to eat. SCP-3233 passively emits a volatile, pheromone-like chemical from its sweat glands, designated SCP-3233-1. SCP-3233-1 has a faint odor similar to lavender to humans, but exhibits its anomalous effect when its odor is perceived by tenrecs. This trigger activates in approximately 71% of all instances tested. SCP-3233-1 does not seem to affect subjects whose olfactory sense has been damaged, deactivated, or removed. Animals affected by SCP-3233-1, designated SCP-3233-Alpha, experience a deterioration of their uteral lining, causing infertility. SCP-3233-Alpha instances will consistently develop an aversion to the perceived scent of SCP-3233-1 and the presence of SCP-3233 itself. SCP-3233-Alpha instances also have a substantially higher rate of maladies consistent with symptoms of extreme malnutrition, despite exhibiting no deviations from a normal dietary schedule. The health of SCP-3233-Alpha instances is intimately linked to that of SCP-3233 itself. Instances appear to feel pain when SCP-3233 is injured, and will refuse to eat if SCP-3233 is sick or hungry. Addendum 3233-A: SCP-3233 came to the Foundation's attention when coworkers in the research lab she worked in reported an unusual drop in birth rates in the lab animal population. After conducting several tests, funding for the research project was withdrawn, and amnestics and a cover story were disseminated. SCP-3233 was contained and an undercover agent was planted at the research lab to watch for any lingering anomalous effects. Within 48 hours of containment, SCP-3233 began to experience a severe deterioration in physical condition, showing symptoms of extreme malnutrition as well as severe migraines, while the plant at the lab concurrently observed unusual behavior in the remaining animals. SCP-3233 was quickly put on life support and at Dr. Velásquez's suggestion, the animals in question were brought to Site-104. Upon introduction of the specimens to SCP-3233, SCP-3233-Alpha instances expressed revulsion, and the non-Alpha specimens surrounded SCP-3233. SCP-3233 involuntarily extended its right hand, and one pregnant specimen walked onto it and proceeded to quickly give birth to a litter of nine pups. The smallest pup vocalized loudly, and then was absorbed into SCP-3233's hand. SCP-3233 was noted to painfully grow several spines in various places on its body. SCP-3233 showed rapid improvement in its condition, and returned to full health within 24 hours. Approximately 120 hours after this incident, SCP-3233 again began to deteriorate. The non-Alpha specimens were brought in, and similar events transpired again. After this series of events was repeated several times, it was determined that the anomalous behavior of the tenrecs was necessary to ensure SCP-3233's survival and containment procedures were updated, with an on-site habitat built to accommodate the animals. 12/29/18: SCP-3233-1 has been shown to have a secondary effect. All non-Alpha instances have exhibited a statistically significant increase in litter size, and have developed deep folds in the cerebral cortex. These specimens show a marked increase in intelligence, corresponding to an average score of 1.9 points on the FAITH2 scale, compared to the tenrec baseline of 1.23. These specimens have been designated SCP-3233-Beta. Like SCP-3233-Alpha instances, SCP-3233-Beta instances appear to exhibit a similar relationship with SCP-3233, and experience pain when SCP-3233 does. SCP-3233 will grow additional spines each time an SCP-3233-Beta instance expires. 02/28/19: Repeated observations have shown that the ratio of Alpha to Beta instances has been steadily shifting in favor of Beta (from 71%/29% to 38%/62%). The reasons for this shift are unknown at present; further research is required. Noting that Alpha instances now attempt to avoid Beta instances if possible. 04/02/19: First confirmed case of an SCP-3233-Alpha instance transitioning to the Beta form. Circumstances and cause unknown. Average FAITH score of Beta instances is now 2.2. 04/21/19: SCP-3233 has begun to exhibit symptoms of anxiety. 05/11/19: SCP-3233-Beta instances have begun to also emit SCP-3233-1. Containment procedures updated. Average FAITH score of Beta instances is now 5.0. 05/28/19: During weekly interview, SCP-3233 entered a catatonic state for approximately 20 seconds. After it ended, SCP-3233 was visibly shaken by this occurrence. 07/01/19: SCP-3233's catatonic states have steadily increased in duration and frequency. Increasing intervals between 'feedings' suggested, along with amnestic and psychological treatment of SCP-3233. 07/02/19: Average FAITH score of Beta instances is now 8.7. Ratio of Alpha/Beta is now 3%/97%. 07/19/19: SCP-3233-Beta instances now disintegrate slowly into a cloud of SCP-3233-1 upon death. Incident Log 3233-01: On 08/26/19, SCP-3233 breached containment. 14:53: SCP-3233 is sitting in the corner of its cell, near the door. 14:53: SCP-3233 enters catatonic state. 14:56: Catatonic state continues for three minutes, the longest yet recorded. Spines are all shaking rapidly. 14:57: SCP-3233 wakes from its catatonic state, but its eyes do not appear to be focusing and its movements are sluggish. SCP-3233 appears to pull out one of its spines and breathe on it, then set it down. 14:58: SCP-3233 begins scratching at door of cell. 15:00: SCP-3233 breaches door; alarm sounds. 15:01: SCP-3233 pulls out two more spines, wincing. SCP-3233 holds these spines in its hand. 15:03: SCP-3233 begins heading down the east corridor and drops two spines. 15:03: In the corridor, the spines that were dropped on the floor appear to unfold into adult tenrecs, which scamper in the opposite direction from SCP-3233, vocalizing loudly. SCP-3233 pulls out several more spines from the back of its neck, grimacing. 15:04: SCP-3233 encounters two guards. 15:04: Guard aims tranquilizer gun at SCP-3233 and orders it to stand down. 15:05: SCP-3233 pauses and jerks suddenly, as if being woken. SCP-3233 looks around, appearing confused. 15:05: One guard turns neck to speak into her radio. 15:05: SCP-3233 reenters previous state and raises its arms shakily, and proceeds to forcefully throw the spines in its hands at the guards' necks. 15:06: Both guards collapse. 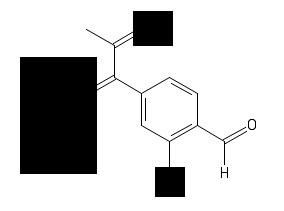 Later investigation revealed the presence of a potent sedative in their bloodstreams. 15:08: SCP-3233 reaches main Site-104 ventilation shaft. 15:09: SCP-3233 uses its spines to cut open the vent cover. 15:09: Six guards head towards SCP-3233's location. 15:10: SCP-3233 drops the remaining spine into the vent, then collapses unconscious. 15:10: Guards return SCP-3233 to its cell, seal vent, and recover the two free tenrecs in the halls. 15:11: Containment of SCP-3233 reestablished. <Closing statement> Vent was sealed; spines were not recovered. Traces of SCP-3233-1 were detected in air for nine days and Site-104 was put on quarantine lockdown. Containment procedures were updated. The two guards regained consciousness within 12 hours and were kept in quarantine until confirmation of absence of lingering anomalous effects. 10/26/19: Reports from Foundation zoologists stationed in Madagascar while monitoring SCP-1585 indicated significant increase in the range and size of native E. telfairi populations. Analysis by SCP-3233 researchers confirmed increased intelligence and fertility corresponding to SCP-3233-Beta effects, as well as excretion of SCP-3233-1 from specimens' sweat glands. No living SCP-3233-Alpha instances were identified. Object Class upgraded to Keter. A single species suddenly gaining hyper-intelligence and faster reproduction is already going to disrupt the ecosystem. As much as I'd hate to wipe out an entire intelligent species, the damage they could deal to the myriad of other species might make it worth it. I want any and all proposals for containment or neutralization sent directly to me, along with their risk analyses. -Dr. Velásquez, Research Head. 02/05/20: Exploration deep into the southwestern Madagascar forests has uncovered evidence of rudimentary tenrec settlements. These settlements include constructed shelters, traps and snares to stop predators, communal food storage, and decorative structures of an unknown function. These structures, constructed primarily using sticks, consist of a crude platform supporting a figure and are always located near the center of the settlement. 02/10/20: Stage 1 of Protocol 89-Chiralene (consisting of restricting outside access to the habitat of the species in question, and systemic culling of the population with a minimum of collateral damage) was implemented. Wild populations of SCP-3233-Beta were reduced by ~24%. Upon successful completion of Stage 1 of 89-Chiralene, SCP-3233 entered a catatonic state for four days, and all contained instances of SCP-3233-Beta began vocalizing and acting erratically during this period. Implementation of Stage 2 has been put on hold indefinitely. 02/14/20: After the catatonic state ended, SCP-3233 appeared to exhibit symptoms of severe depression and destructive behavior, such as hitting and scraping the walls of the containment cell. SCP-3233 was restrained to prevent harm to itself and by extension, the SCP-3233 population. SCP-3233 subsequently reentered a catatonic state. 03/05/20: SCP-3233's catatonia has not yet ceased. Feedings have continued as normal. 1. Otherwise known as the lesser hedgehog tenrec, a small mammal endemic to Madagascar. 3. The FAITH scale ranges from 0 to 10 and the tests are calibrated for each species. For comparison, on this scale mice score a 0.5-0.9, corvids score a 4.1-4.5, dolphins score a 5.9-6.3, and great apes score from 8.2-8.8. An average human is assigned a score of 10.